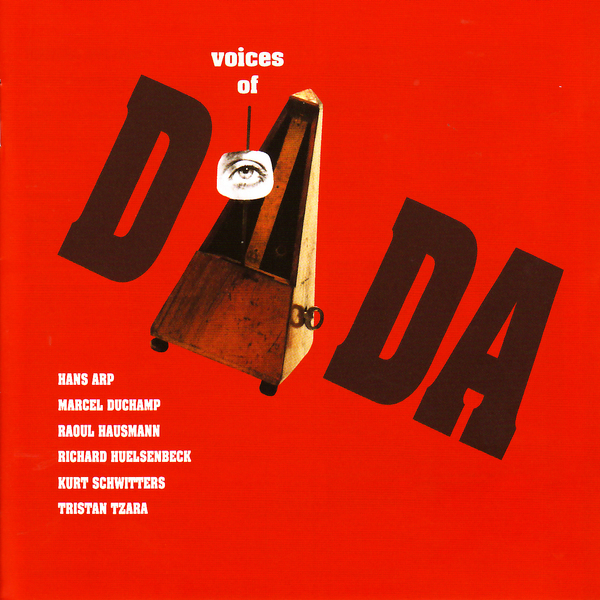 Before I start this review I want to let you know this is NOT a music cd, so don't be expecting some clattering and screaming, Voices of Dada is exactly that; voices of the most infuential and important members of the Dadaist movement - Marcel Duchamp, Kurt Schwitters, Richard Huelsenbeck, Hans Arp, Tristan Tzara and Raul Hausmann. Dadaism is one of those sort of art movements I've never really been totally sold on, I mean I respect its importance of course, who could argue with a urinal in the middle of an art gallery? But at the same time all too much of it seems just that little bit ... zany. There's the sense occasionally of the embarrassing friend who always takes it a bit too far... and it all gets a bit creepy, but I guess that might have been what they were after all the time. This disc compiles key interviews and phonetic poetry pieces which sum up the Dadaist movement quite appropriately, and while it isn't for everyone, followers of Dada are sure to find it indispensable. Mad as a row of tents and one sandwich short of a four wheel drive, but that's the point, isn't it?